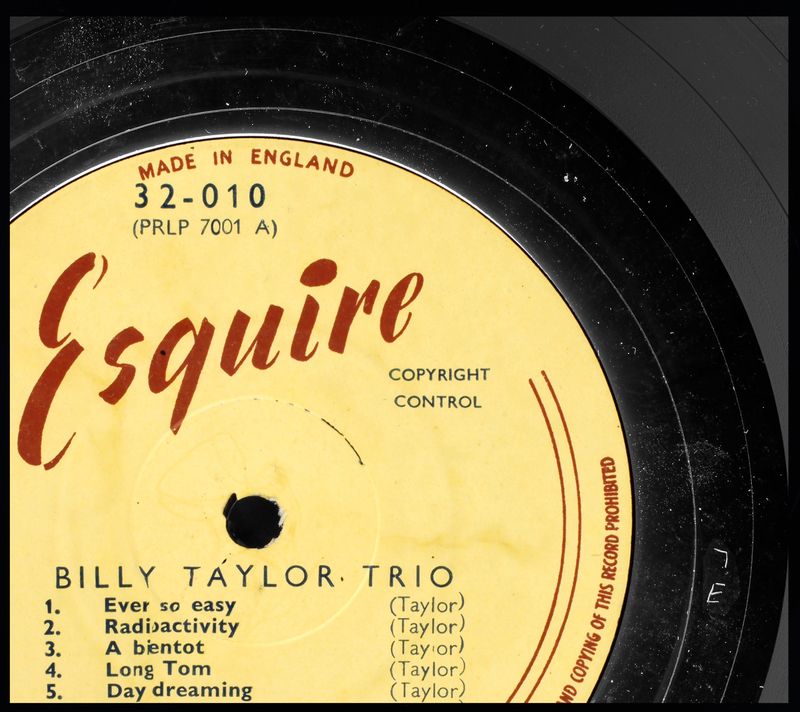 The 9M etching found in the run-out of 10″ Blue Notes, many of the 1500 series pressings and a handful of the early 4000 series title. The variety 9M is uniquely found on Blue Note and not any other alpha-numeric permutation. 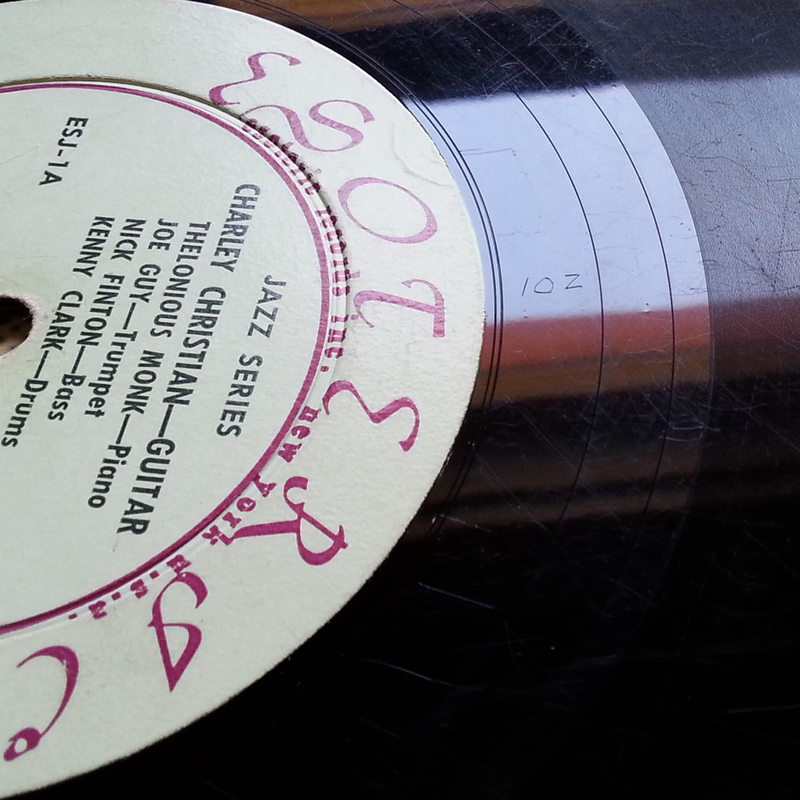 Blue Note wasn’t the only label Plastylite pressed. 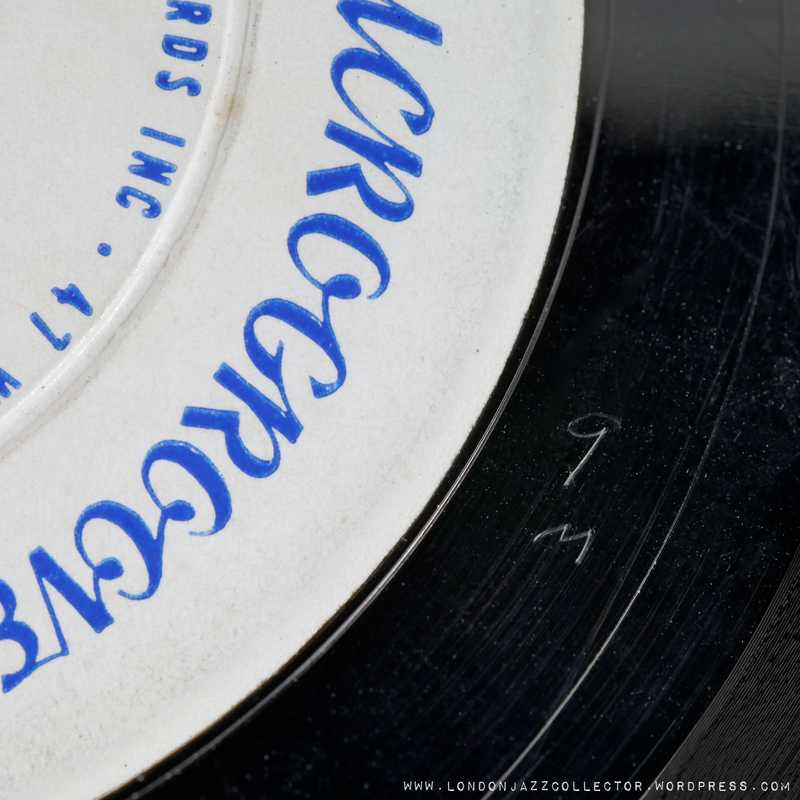 In the early days they also pressed for a number of record labels including Prestige, early copies of which also bear an additional etching which follows the same numeric/alpha pattern. Each code is likewise uniquely associated with that record label and found on no other label. Including those pictured above, and Riverside 14 capital I, that gives us a total of 9 distinct custom-codes. Interesting variation on Prestige 7E, appearing on Esquire pressed in UK with the same metal as PRLP 7001. Whilst the RVG and matrix are very small and faint, the 7E is in a different hand, large and well formed, probably not applied at the time of mastering. Riverside: 14 i (capital i as in Indigo) added Jan 2015. Found on a 2nd pressing of RLP 12-223 Bill Evans New Jazz Conceptions (1956) utilising original master metalwork. “14 I” noted on both sides in the familiar “9M” format, number on top, alpha below, in an open hand. The “I” has a bold seriph top and bottom. There is no Plastylite “ear” since the ear was added at pressing, and this Riverside second press from early ’60s was not pressed by Plastylite, however carries the code from its 1956 original acetate. Further confirmation that the 9M found on Blue Note was but one of a number of “customer codes” assigned uniquely to a number of record labels, now known to include very early Riverside. 9M was one of a range of numeric/alpha codes identified with metalwork destined for various labels pressed by Plastylite, possibly others, applied at some point in the chain of manufacture either by a metal-plating department of Plastylite or a supplier to Plastylite if plating was done externally, to them and maybe others. 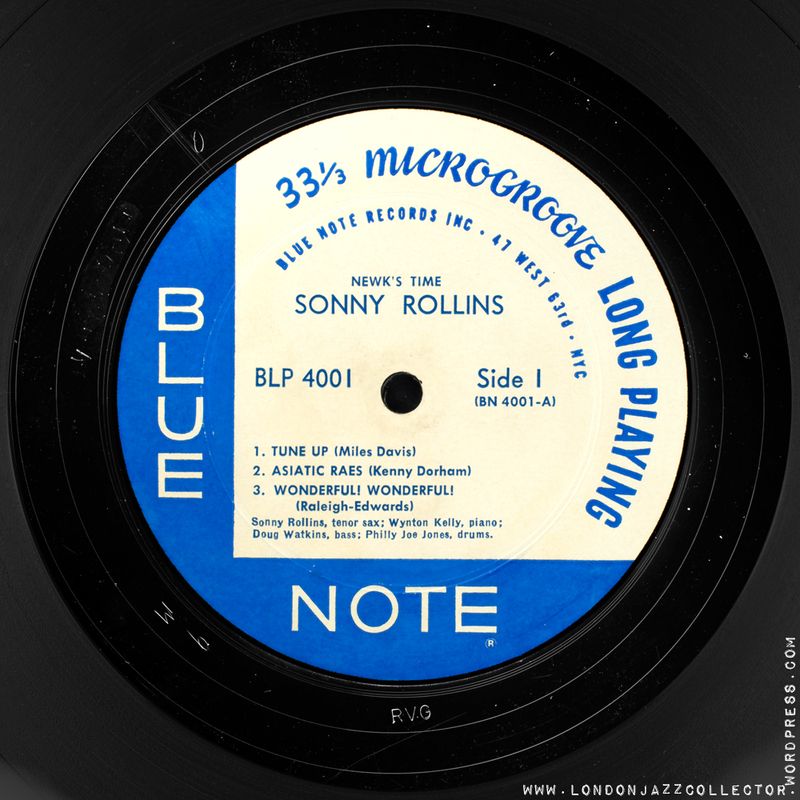 9M etching ceases as a fairly continuous run at the beginning of 1959 at BN 4001 Sonny Rollins Newk’s Time, though there are a dozen or so titles beyond this beyond this point as high as BLP 4106 (Jackie McLean Let Freedom Ring, released April 1963). BN 4001 Rollins, Newks Time. UPDATE April 24, 2016: eagle-eyed reader Jim R finds 9M on another, later McLean title, BLP 4106 Let Freedom Ring. Is this just coincidence, both these outliers are McLean titles? It’s a stretch to figure how this appeared as late as April 1963. My thanks to JimR for his discovery. 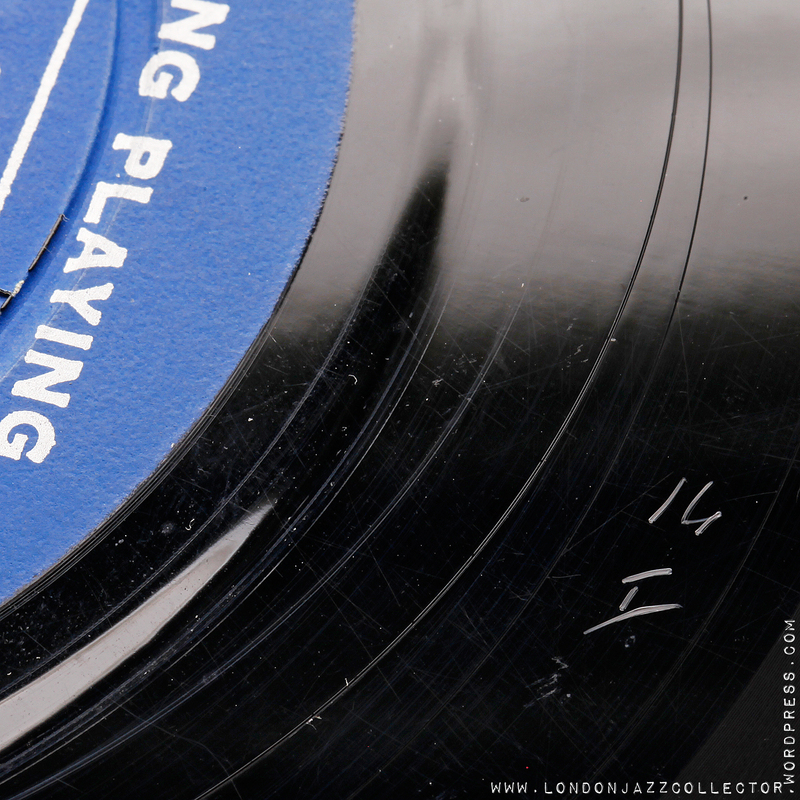 Unlike the Plastylite “ear”, which disappeared in 1966 when pressing was moved from Plastylite to new Blue Note owner Liberty’s plant All-Disc, the 9M continued to pop up occasionally on Liberty reissues of Blue Note 1500 series, an exact matching copy of all etchings and stamps to the earlier pressing (apart from the Plastylite factory-applied ear) It seems Liberty had access to legacy metalware (acetates, mothers, stampers) which of course bear all the original etchings ie matrix codes, RVG/ VAN GELDER stamp, and 9M. It’s great when you find these things, because you know you are listening to vinyl pressed from the original Van Gelder master. 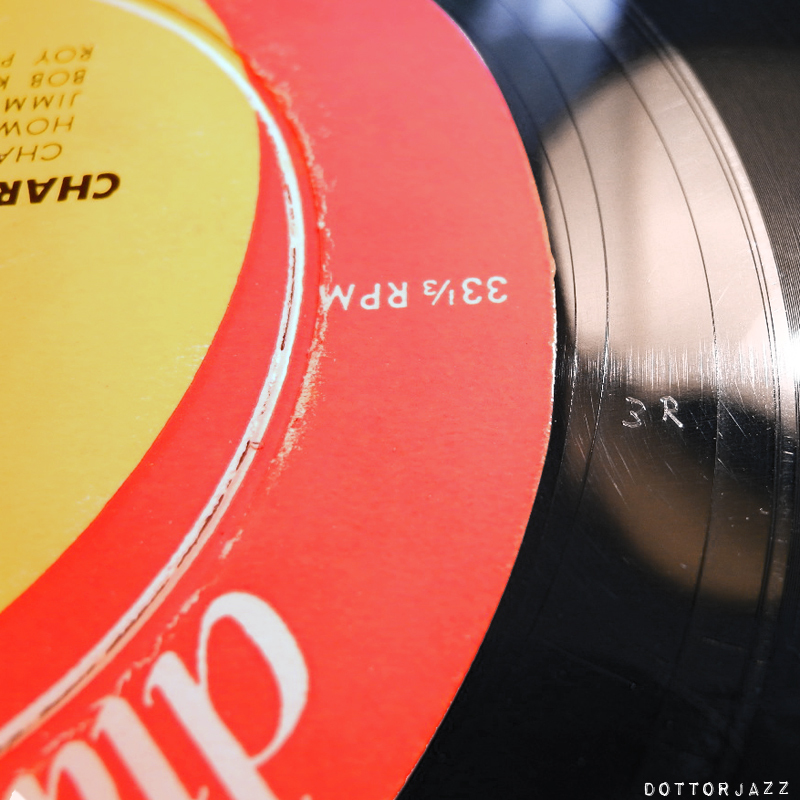 The numeric/alpha additional hand- etching “9M” s found on around two thirds of Blue Note pressings in the 1500 series and a handful of 4000 series, all manufactured between 1956 – 61. It uniquely identifies Blue Note, and a number of similar unique codes (one number one letter) are found on other similar specialist record labels of the period. The most plausible explanation is that the etching is a custom identifier on metalware, in an early stage of the vinyl manufacturing process. “9M” means client “Blue Note”, in a setting where a range of similar looking metal circular plates needed identification at client-level, be it for routing, accounting or some unknown other purpose. The common format of all these codes – Numeric/Alpha – also eliminates another alternative hypothesis, that the Blue Note etching might be read upside down as “W6”. The latest information from collectors identifies that around a third of Blue Notes from this period do not carry a 9M etching. There are also conflicting cases, albeit rare, where a specific title and format (mono or stereo) is found both with and without a 9M. This raises the possibility of 1st and 2nd cutting second masters, and different consumable item (acetate) suppliers. The link between Blue Note, 9M, Plastlite, and Van Gelder mastering remains tantilisingly close. But we do not yet have all the pieces, though we have a lot more than when the enquiry set out. LJC reader and Blue Note collector Jim R has kindly contributed a most comprehensive listing from his own collection, which confirms the presence or absence of a “9M” etching in the run-out. In 75 titles between 1500 – 4001 for which we have sight (not all titles have been validated and remain to be classified – data blank)) around 50 titles are known to bear 9M and around 25 are known to have no 9M etching at all. Thee titles have 9M on only one side. The longest straight run of titles with 9M ends with 4001, Rollins Newk’s Time, exceptionally it appears on 4025 and 4026.The last sighting of 9M is BLP 4067 Mclean’s Bluesnik and there is a cluster around that release time in 1961, between 4057 and 4067 . 4039 Stanley Turrentine Look Out! If you can fill in information on the missing titles in the 1500 series, or have something different to add, mail me or add to comments. I have a 1538 Lee Morgan’s Indeed that is flat edged, Lexington Ave address, no “r” had rvg stamp but doesn’t have the 9M. Curious as to what pressing this is. I don’t have the cover. 1538 is one of around a third of the 1500 series do not have a 9M etched in the runout – that is normal for this title. Lexington with flat-edge, no ®, RVG should be hand-etched (not stamped) – you don’t mention Plastylite ear but I assume it is present – deep groove both sides, you don’t mention, if all that applies, I think you have an original pressing. You would need the cover to be absolutely certain ( frame cover, blank spine etc). Very nice record to have. Just got my hands on an early pressing of The Albert Ayler Trio’s “Spiritual Unity” and was surprised to find the Plastylite P / “Ear” in the dead wax. Seems ESP was a customer of Plastylite, too. At least that was a surprise to me. So far I had thought the ESP records were pressed rather cost cutting. But perhaps ESP went the more expensive rout for the early runs of their first records? Isn’t the point though that in the vast majority of cases, the presence or absence of the 9M does nothing to indicate the vintage of a pressing, meaning that all copies with the 9M (almost) always have all the other markings of a first pressing? It would be interesting to focus on the titles where, all other first pressing markings being identical, some have the 9M and some don’t? What titles are those? I feel like it was addressed on here at one point. What copies is this the case for? One, more than one? I just picked up Blue Note 4025 Lou Donadlson The Time Is Right. 47w63rd on both sides, RVG, non DG, NON EAR. It DOES have 9M on both sides. Liberty pressing using original metal. NM/VG+ condition. Listening right now…..Excellent LP ! 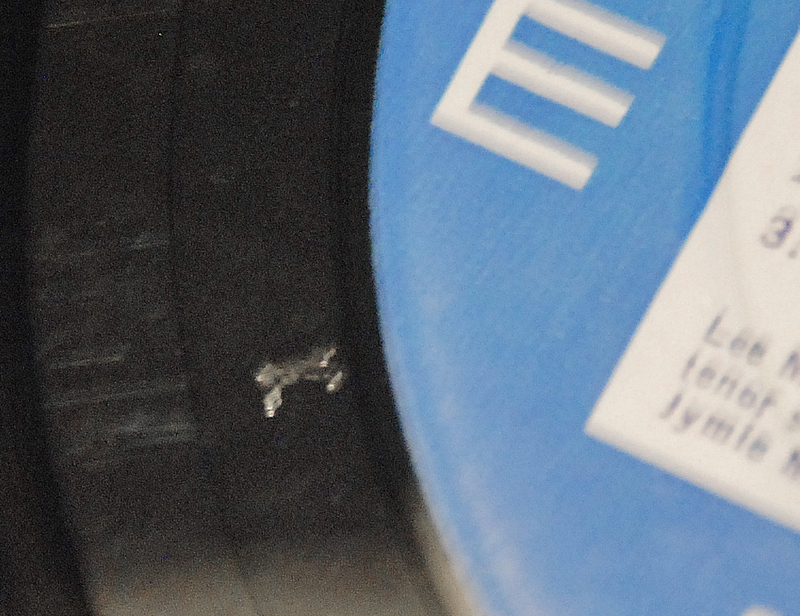 I found in my collection a Blue Note 4003 on heavy vinyl (191 grams) with 9M etched on side 1 and K stamped on side 2. It has RVG stamped both sides, but no “ear”. Strange isn’t it? Which kind of pressing is it? What’s the meaning of K stamped on side 2 on your opinion? If it has deep groove labels – it will have the ear. Liberty issues never had a DG (or were that heavy for that matter). Can you post a picture of the label and the stamped “K”? Hi Aaron, here we are. I’ve done that!………but, how can I upload the pictures? …..can I upload in Google photo and give you the permission to see and share that? If you email them to me as a file attachment at Londonjazzcollector (address in the Contact LJC page in the banner), I will upload them to the site so all can see. OK! Thanks! I’ve done that a few minutes ago. Let me kindly know your opinion on this strange “pressing enigma”. Considering the weight, the “K”, the cover and so on…I was thinking about it as a 1st european pressing…..Germany! ?…..mumble, mumble. Add this to the database. 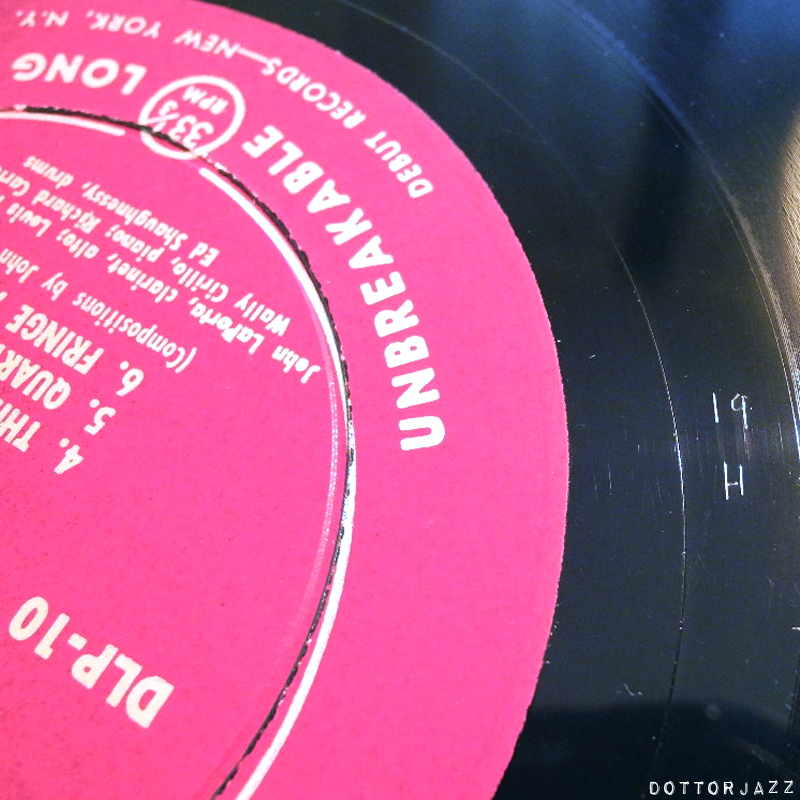 I recently acquired a copy of Donald Byrd At The Half Note V2 BN84061. 47 W63rd VANGELDER Stamp, and 9M on both sides. NOT a DG pressing, “Ear” is not present, and lightweight vinyl. Suspect this is an early Liberty pressing, using inherited BN lacquers and matrixes. Thus far the database is confined to presence of 9M on mono editions – I hadn’t thought of classifying 9M on stereo editions, I admit I am a bit surprised to find it on stereo but I guess it’s a logical possibility, thanks! I recently found a first pressing of the Blue Note 1595 “Somethin’ Else”. This blog was instrumental in helping me identify the treasure I own… thank you! I’ve got a new Plastylite “customer code” for you, a super heavy, flat-edge, deep-groove pressing on Period with “7D” in the deadwax on both sides. I can provide a picture tomorrow when the sun is out it’s helpful. It is certain to be helpful. We have 7E already, for Prestige client, so I am seriously worried by the existence of a 7D… opens up a whole new can of words. I checked 3 Period albums and found one with 7D. It is # 1210. Labels bordeaux red, no phoenix logo, gold lettering, flat edges, ears and 7D in dead wax either side. 7D is very faint and hardly visible. 1204 and 1208 have no ears nor 7D. The labels are red with black and white blocks, black lettering and the Period phoenix logo. Beaded rims. I wonder what album Aaron has got here. 7D. Holy Vinyl Etchings! My God, Gentlemen, we are on the edge of unravelling one of the greatest mysteries of all time: Life, The Universe and the 9M. Who the hell is Period Records? Everest was basically a classical music label. As Aaron said, the Period album most known amongst collectors is the Rollins album (1204). 1208 is Mad Thad (Jones), (two different groups). 1210 is the Jones Boys (also Thad and other unrelated Joneses. The 1954 New York recording sessions for Vogue, organized by Henri Renaud and issued on 7 ten inch Swing (Vogue) LP’s (i.a. Al Cohn, J.J., Duke Jordan, Gigi Gryce, Oscar Pettiford) were partly re-issued on Period in three volumes, under the title “the Birdlanders” (on the top of my head # 1212-4). As an aside, added to “Other US Labels” collection. Pricey, isn’t it? Up to $2,000 for a Rollins, period. The liner notes, found on-line, give an insight into manufacture. “The Jones side recorded in the Esoteric Sound Studios, New York City, by Jerry Newman. 4000 if one discars the Thad Jones side which is very average compared to the 3 extraordinary Blue Note sessions Thad made. Rudolf, do you know how many titles were recorded during the “Birdlanders” sessions? I only know of 22 (plus one alternate take, I think). Are you sure the seven 10-inch discs you are referring to were long playing records, not 78 RPM’s? – Then the number of tracks must have exceeded 22 by far! I have seven 10″ long play albums with a total of 42 titles, being the harvest of Henri’s trip to the USA in Feb/March 1954. Henri Renaud was given a free hand and he did two trio albums by his favourite pianists, Duke Jordan and Al Haig. Of these two albums (16 titles), two by Duke only made it to the Birdlanders. The Henri Renaud – Gigi Gryce band (5 titles) made it to the Birdlanders, n.b. according to Jepsen. But this is false information: I had the three volumes of the Birdlanders (1211-3), but no Gigi Gryce at all. Since I have the original records I decided to sell the Periods, so I cannot give details on the Birdlanders, only that they are incomplete. 321 ditto. These two albums 8 titles in toto. 324 no data available (anyone?) Maybe unissued?? Henri made the recordings at Esoteric studios. Sound is excellent. Esoteric had an apparent link with Period Records, whence the Birdlanders I guess. I just found an original copy of Sabu’s Palo Congo (Blue Note 1561) at my local record store for $1… Okay, done bragging. It says 9M on both sides. Sabu for $1? You over-paid. Seriously though, thanks, that one has been a missing one, it seems very few have it. You’re welcome. I’ll be honest, I was unfamiliar with the artist and just bought it because it was on Blue Note and was $1… I was looking up details on it to identify the pressing (first, luckily), and saw that you needed information on it, so… Glad to help. It’s pretty good, by the way, but it’s completely unlike any other Blue Note record I’ve ever heard thus far… Probably why nobody else seems to have it. It’s a bit out of the usual Blue Note territory. 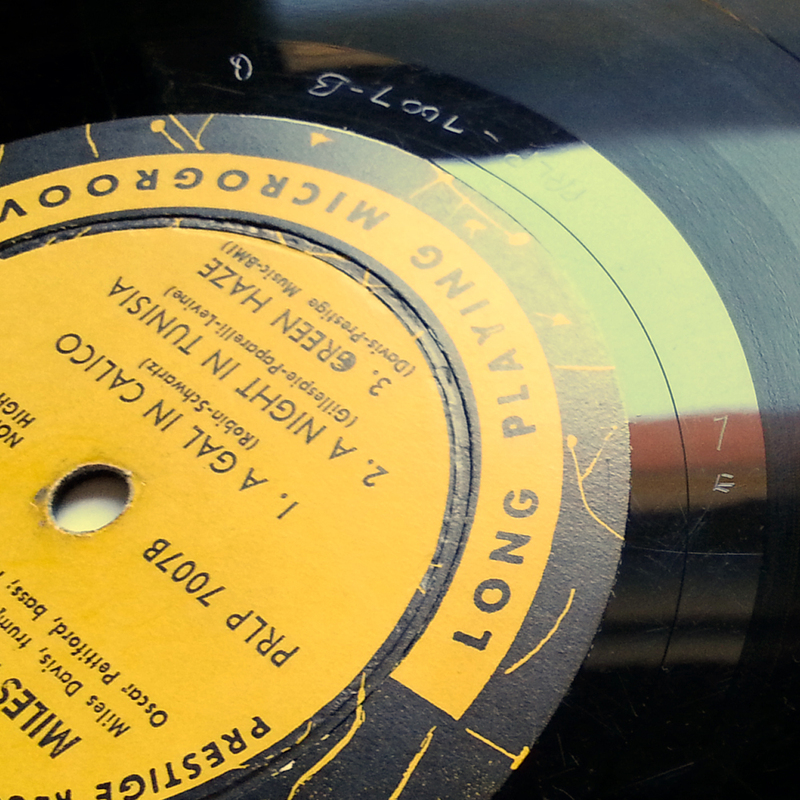 I have a Blue Note 1501 that has 47 West 63rd (Side 1) 161 Lexington Ave (Side 2) labels. 9M is only in that run off of Side 2. Perhaps the 9M listed in the above chart for that release would be for matching labels. Not the case with this one. 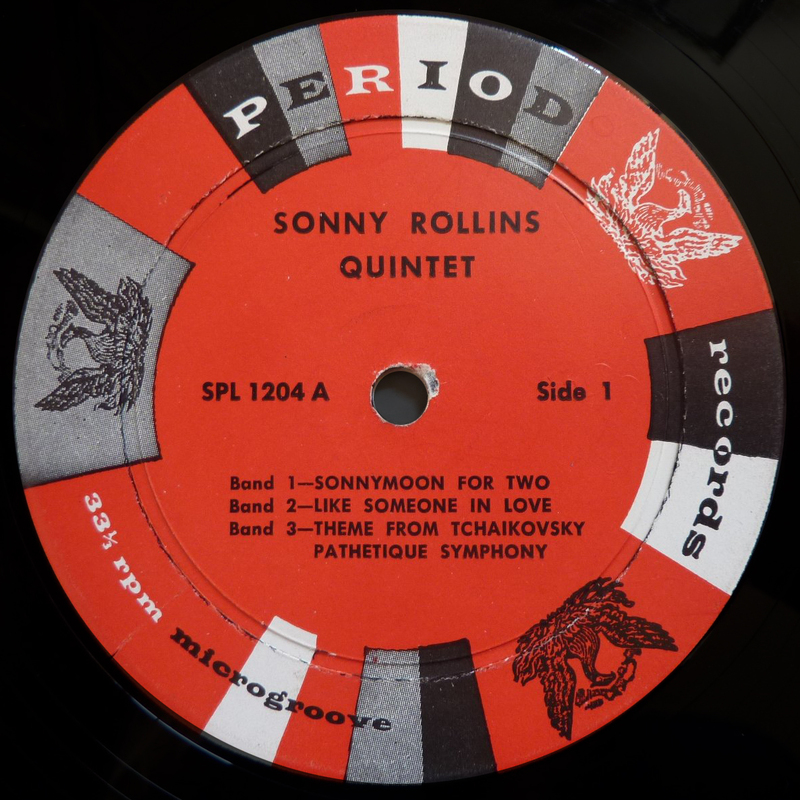 I just bought a Sonny Rollins vol. 2 with 9M on both sides. No Ear, but RVG. Wonderful sound…and record quality is great for what they sold it for. The record shop just opened in my neighborhood and looks like they’ll be getting a lot of my money. Interesting, and not the first example where a pressing sourced from original metal is found both with and without 9M. 1558 original exists without 9M, with 9M both sides (I assume you checked both sides). My copy is DG/ear/original, but has 9M only side 1, and not on Side 2. On a possibly related matter, I note both the matrix codes on my copy are a third mastering by Van Gelder: 1588-A-2 and 1558-B-2. A previous title I found copies 9M present and not present, that was also a second mastering . Could these things somehow be connected? It remains a puzzle. A year or two back when the 9M controversy was raging (OK, smouldering) one of my readers contacted Fred Cohen as to what he knew about the meaning of the 9M, and Fred said he had no knowledge. Effectively he hasn’t recorded it, so presence of 9M is not part of his authentication process in his book. It is an unknown unknown. We know 9M is present on many 1500’s and stops at 4001. Is 9M is present on every 1500? You would have to own them all to know.. If anyone out there has 1533 with a 9M, now would be a good time to shout. Otherwise we reach the point that “some do, and some don’t” and we are no wiser. Wondered if anyone could shed some light on this.I have 2 original Blue Note 161 Lex’s in my collection? Horace Silver Jazz Messengers BLP 1518 and Johnny Griffin:Introducing BLP 1533(playing now Mmmmmmm! ).Both bear all the markings of first press originals:Kakubushi sleeves,no spine writing,deep groove,no r,no inc.flat edge at label,RVG hand etched,Plastylite ‘ear’.However,the Griffin has no ‘9M’ which the Silver does have.I noticed that you state on your Blue Note label guide that most but not necessarily all original Blue Notes up to around 1959 had the 9m label identification code.I’m not that concerned if my copy of the Griffin album is an absolute first press or not but it would be nice to get others views. I purchased both these beauties from Fred Cohen at the Jazz Record Centre in Manhattan in approx 2004/5 to my recollection when my wife and I were regular visitors to New York.Not sure what the going rate would have been at the time but I recall paying approx $250 for each of them.Needless to say they are the pride and joy of my Blue Notes.